Ernest Crosfield is one of those people who should be more widely known than he actually is. Of the anglers active in the late-to-post Victoria era, it seems like Arthur H.E. Wood gets most of the press. It is understandable, given Wood's contributions to fly fishing. A book about Wood's greased line technique has been widely available since it was first published in 1935. Crosfield's exploits, on the other hand, were not as well recorded as Wood's, despite being a very important contributor to the sport. 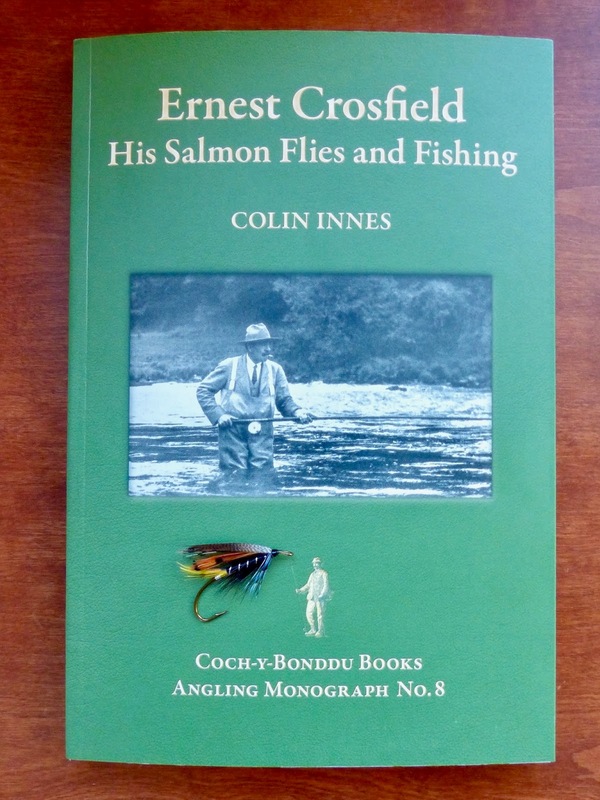 Ernest Crosfield: His Salmon Flies and Fishing, compiled and edited by Colin Innes, is a collection of the relatively few pieces written by or about Crosfield. Those of us who were previously aware of Crosfield have read most of the contents of the book already. Many of the pieces within the book can be found either online or in other books, such as Fly Tying for Salmon by Eric Taverner and Greased Line Fishing for Salmon by "Jock Scott" (Donald G. Ferris Rudd). Prior to reading Innes's book, I had already done the research and read most of the pieces. There were a few that had previously escaped me, the piece from Fisherman's Pie being one of them. In my opinion, the best part of the book were the pictures of flies actually tied by Crosfield. I hadn't seen most of them before. Crosfield had a very unique style of dressing flies, later emulated by luminaries such as Dr. T.E. Pryce-Tannatt and Syd Glasso. Crosfield's flies had one foot in the past and one foot in the future. 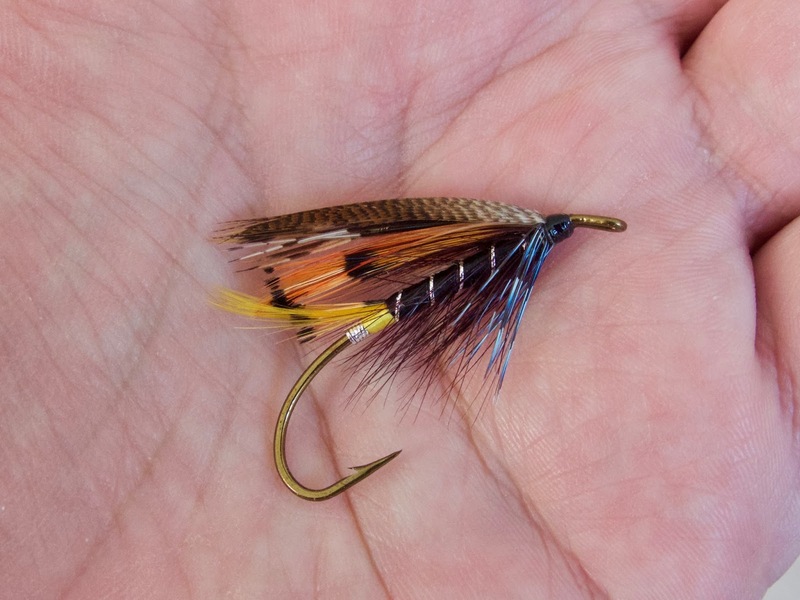 His basic method came from the Rogan school of Irish fly tying, but with a slimmer, sparser, and more streamlined appearance, one that would eventually become the norm, paving the way for modern salmon fly tyers. Innes book has pictures of a dozen or so Crosfield originals and adaptations, as well as the dressings for each. Ernest Crosfield: His Salmon Flies and Fishing is a good read. Like I said, most of it is already available. The beauty of Innes's book is that it is now available all in one place. I was on a Crosfield kick a few years ago. I went through a lot of trouble to dig up the information found in Innes's book and I didn't even find it all. It would have been much easier (and less expensive) to buy this book if it was available back then! For those interested in learning about Ernest Crosfield, his fishing methods, and flies, I highly recommend this book. It is a short, quick read, but contains as much information about Crosfield as any of us are likely to find on our own.